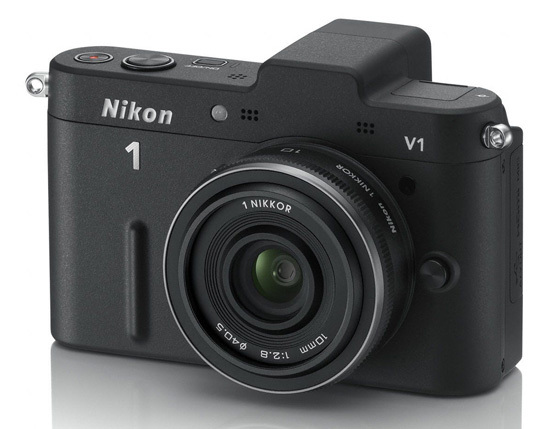 Review The V1 is the flagship model of Nikon’s newborn mirrorless, interchangeable lenses camera system simply called 1 that currently has only two models, the cheapest, being the smaller and less sophisticated J1 reviewed recently. Yet having entered the Compact System Camera’s (CSC) scene with some considerable delay, can Nikon really bring anything new and truly competitive to this increasingly saturated market? Selling at £880 with the 10mm Pancake lens, the V1 is certainly not cheap however it does have a few tricks up its sleeve, such as a an electronic viewfinder, a high resolution screen, both an electronic and a mechanical shutter release. On-board is Nikon’s latest processor – capable of a continuous shooting rate of up to 60fps – and a hybrid Autofocus system that combines the benefits of both phase and contrast detection. 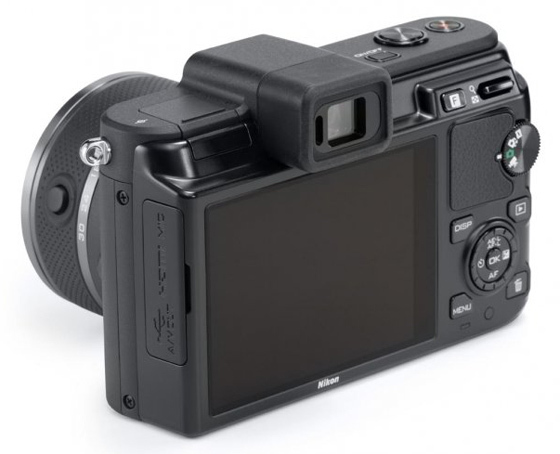 At the heart of the new system lies a newly designed 10.1Mp sensor, which Nikon calls CX and is significantly smaller than both the Micro Four Thirds and the APS-C formats currently employed in most Compact System Camera models. It measures up at 13.2 x 8.8mm and delivers a 2.7x crop factor. Cleverly Nikon has restricted its resolution to just 10.1 MP, as opposed to the average 12-16Mp of its competitors, and therefore has been able to keep a decent pixel size to compensate for the reduced sensor surface. Strangely instead Nikon, despite choosing a smaller sensor, does not take advantage of the reduced size to make this camera tiny and truly pocketable. The V1 is in fact the bulkier, larger and heavier of the CSC cameras currently on the market albeit the one that can boast the better and more professional looking build quality. Built of solid aluminium and magnesium alloy the V1 feels extremely comfortable and balanced in the hand despite the almost complete lack of gripping surfaces, with only a ridged bar on the front for your middle finger and a slightly raised rubberised square to rest your thumb at the back.